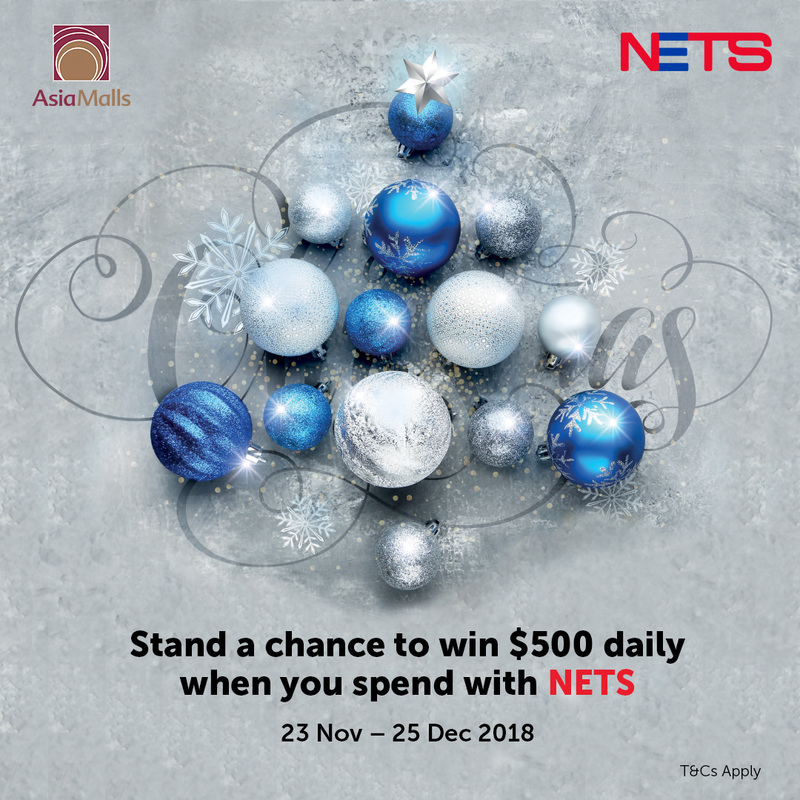 Stand a chance to win $500 daily when you spend with NETS at Asiamalls. Shopper is entitled to 1 lucky draw chance with every $50 spend at participating malls. Prizes are issued as AMperkz points. Maximum 2 same-day receipts per redemption, limited to 1 redemption per shopper per day. All prizes are not refundable or exchangeable for cash or prizes of other value, unless stipulated by AsiaMalls Management Pte Ltd.
All redemptions are valid for AMperkz Members only, on a first-come, first serve basis. While stocks last. Other AMperkz terms and conditions may apply. All redemptions are to be made at the Customer Service Counter. Same day receipts after 10pm may qualify for redemption on the following day (10am-10pm).